For days all I could think about was what I was going to name my new business. I would go out to run some errands and forget how I got from point A to point B because my mind was so preoccupied with names. I didn’t want just any name or the first one that popped in my head. I wanted a name I could continue to love for as long as I run my business (which I hope is for a long time! ), and also something that meant something to me. First I thought about using my own name (well, married name), Megan Chain. Maybe something like “Megan Chain Crochet” or “Megan Chain Designs”. But I wanted something that stood out more and was more unique than a person’s own name. I also wanted a name that had a physical “thing” you could associate with, like an animal or object. So, I moved on and started thinking up other names. I developed some guidelines that helped me decide whether a name was in the running or not. This was obviously important if I wanted to have a unique web address with my business name. Even if the domain is not taken, there is a possibility someone already has a Facebook page using the same name, which might lead to some confusion if someone is searching for my business on Facebook. You don’t want a potential customer searching for your business online only to find some unpleasant sites coming up in the search results along side your website. Being a mostly web-based business, people would be seeing the name written out many times over, so I wanted it to have some aesthetic appeal. I didn’t want people to have difficulty sharing my business with others, others who might be potential customers. If someone can’t remember, or even say, what the name of my company is, they would have a difficult time telling a friend about it. Because the business is solely run by me and is my creation, I wanted a name that had a connection to me personally. This goes along with my idea that I wanted a physical “thing” in the name that people can associate with, such as an animal. I would then be able to develop a theme or image for my business that was directly related to its name. 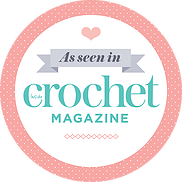 I also wanted the name to be associated with crochet, to identify it as a crochet business. To do this I needed to include a word such as stitch, crochet, or hook within the name. But why choose a bee to represent my business? That’s where the personal touch comes in. My maiden name is Barclay. Obviously it starts with the letter B, but in addition to that Barclay is a Scottish name and our tartan is a black and yellow plaid. Our family started associating bees with our name when my brother and sister-in-law had bees on their wedding cake (to match the Barclay tartan kilt my brother wore, of course). Hence, the “bee” in the business name!